Have an easier ride through planning, and more value from your investment, with our advanced great crested newt surveys and reports produced to the highest industry standard. We undertake great crested newt habitat and risk assessments, eDNA surveys, standard presence/absence and population size class surveys for projects throughout England. 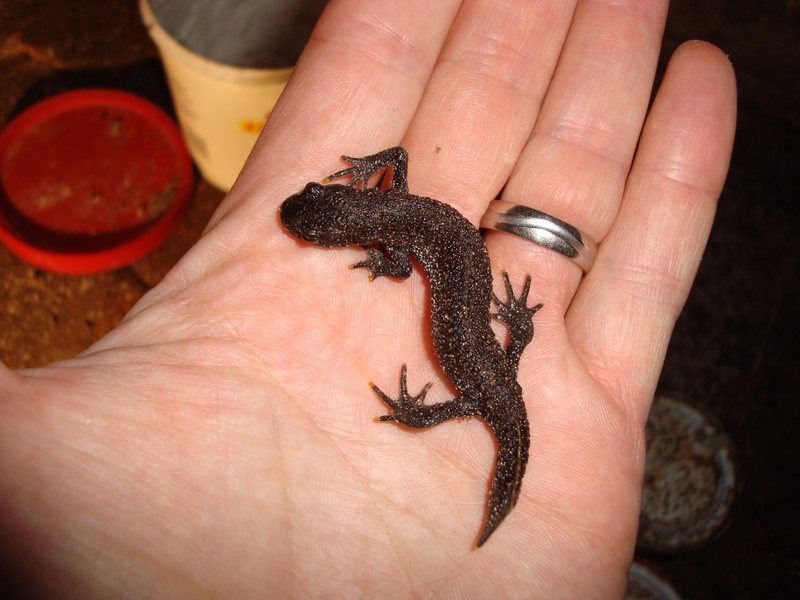 Your risk of needing further survey visits would be less because our newt habitat assessment surveys are more thorough than typical for the industry. Your evaluation would be more precise because of our new (and unique to Adonis Ecology) quantified evaluation method, based on published science and the findings of over 10 years of our projects. Your risk of needing time-consuming and costly mitigation solutions would be less because we look for ways you can avoid impacts. Your great crested newt survey report would be effective and credible with Local Planning Authorities because it would be produced to the relevant British Standard BS 42020. This tells you whether there would be a significant risk of your proposed works affecting great crested newts, based on a data search, habitats on your site and nearby waterbodies. Our method is based on the industry standard but enable a more quantitative evaluation of your site. An eDNA survey, based on analysis of water samples, can be useful to confirm presence/absence of great crested newts in spring if either you have a lot of ponds needing scoping, or in situations where great crested newts are considered reasonably unlikely, but you need to be certain. The standard methods of determining presence/absence, despite needing more survey visits, are typically more cost-effective where great crested newts are reasonably likely, as unlike eDNA surveys, the standard methods provide information on newt numbers for mitigation design. This is required where great crested newts are present in order to assess impact and describe actions to help you comply with wildlife legislation and related planning requirements. The methods used are the same as for standard presence/absence and involve six survey sessions in spring.